Before I sleep and after I wake up and all the hours in between... you occupy my mind. 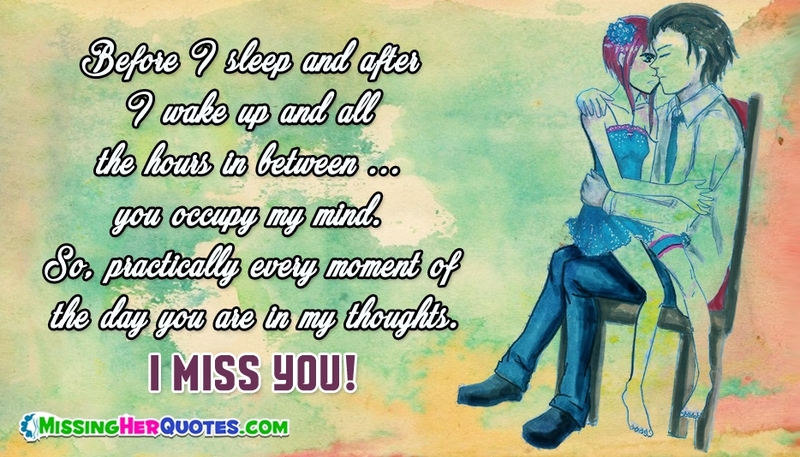 So, practically every moment of the day you are in my thoughts. I miss you.